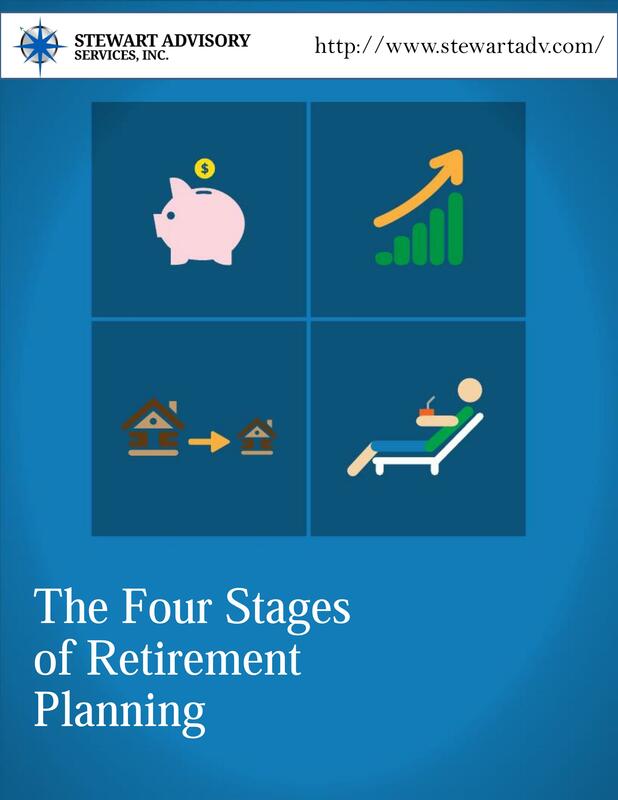 The Four Stages of Retirement Planning — Stewart Advisory Services, INC. Achieving financial security in retirement has never been more challenging. The old “three-legged stool” of retirement that used to consist of 1) a company pension, 2) Social Security benefits, and 3) individual savings, is now teetering on one and half legs. The guaranteed incomes of company pensions are a thing of the past, and many in the younger generations are not holding out much hope for Social Security. So now, the onus falls more squarely on individuals to create their own retirement income source that can generate a reliable income for their extended lifetimes. Not only do we have to be able to accumulate capital at a rate that exceeds inflation, we must be able to sustain a rate of growth on the income it generates in retirement to protect our purchasing power. And, that is becoming increasingly difficult to do as long as interest rates on savings remain below the real rate of inflation.